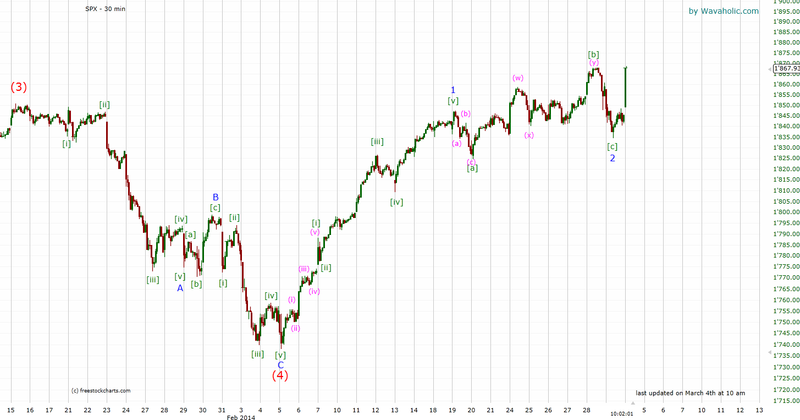 I think that the SPX is now in wave 3 of (5). 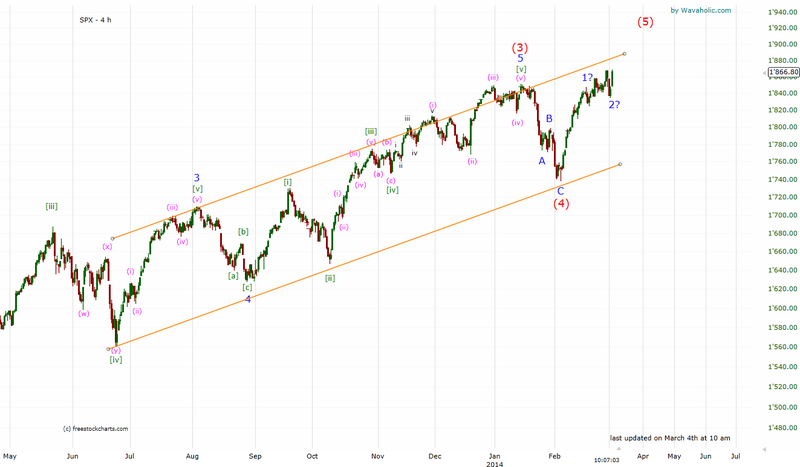 Wave 3 should target at least 1950ish. I'm still a bit skeptical about it though because there are many resistances between 1880 and 1900.